SACRAMENTO, Calif. /California Newswire/ — The California State Assembly has approved AB 2098 by Assemblymember Kevin McCarty (D – Sacramento), which would establish the After School Kids Code Grant Pilot Program to provide funding for after school programs that promote STEM education and focus on computer coding as part of their curriculum. The measure was approved on a 65 to 0 vote. Millions of jobs in the United States require some form of computer programming skills. Yet in 2017, only 43,000 students graduated college with a degree in computer science. While the demand for computer science professionals is tremendous, there continues to be a shortage of trained workers with the necessary skills to perform these jobs. 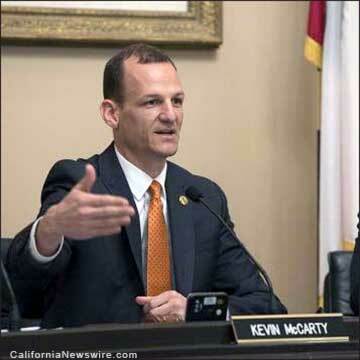 As Chair of the Assembly Budget Sub-Committee on Education Finance, Assemblymember McCarty played an instrumental role in approving an education package that invests nearly $80 million in meaningful investments in K-12, which includes $25 million one-time Proposition 98 funding for the After School Kids Code Grant Program. This allocation would provide grants for eligible ASES programs that operate or plan to operate computer coding programs as part of their curriculum and provide $900,000 in one-time general funding to be used over three years to support limited-term positions to run the program. AB 2098 is joint authored by Assemblymember Tony Thurmond (D – Richmond) and now moves to the State Senate for further consideration.